Since the 1990’s, Cobra’s Trusty Rusty wedges have been sitting in bags of most golfers around, and the golf community constantly looks forward to the innovations Cobra will bring to the table each time. 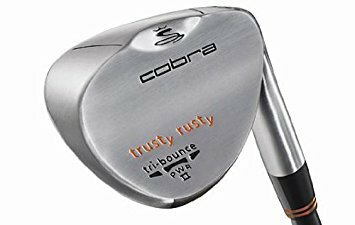 Improvising the original Trusty Rusty wedge, Cobra came up with a remodeled version in 2011. The updated Trusty Rusty comes with non-plated finishes and a sophisticated laser precision technology, which ensures a maximum conforming spin. 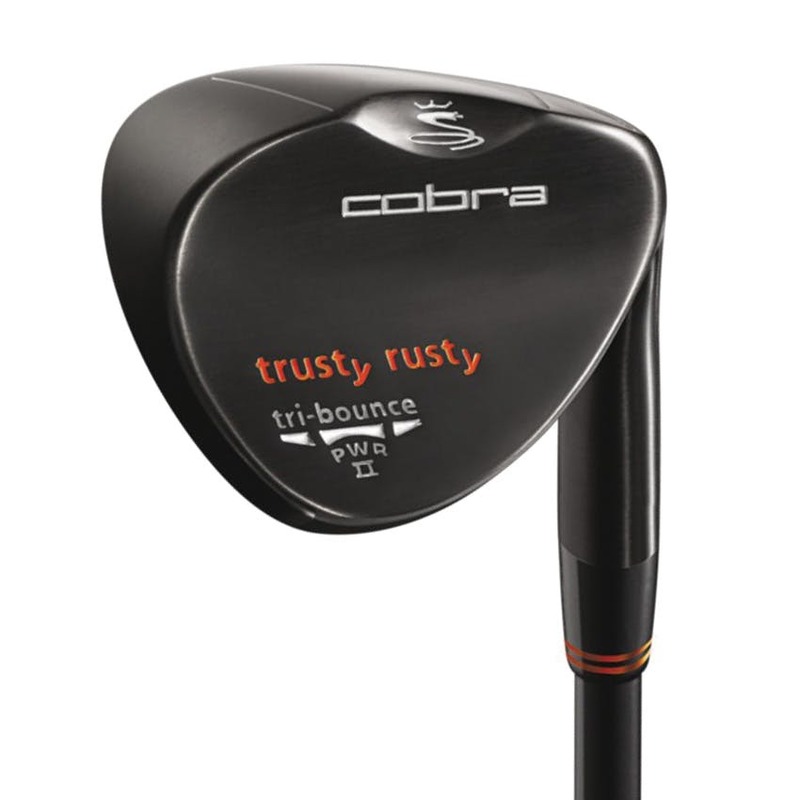 Continue reading this Cobra Trusty Rusty review as we take a closer look at the popular wedge. The Trust Rusty wedges are non-chromed 8620 carbon steel products. The non-plated head is 7% softer as compared to a chrome head, rusting naturally over time giving the wedge the look it is best known for. It comes in 3 finishes; Black PVD, Satin w/pre-rusted face, and Rust. The Black PVD’s shape is more rounded, with a little offset-neck to the hosel. The shaft is a standard True Temper Dynamic Gold in black. Whereas the white lines in the rust finish help provide a good alignment standing over the ball. These wedges provide a triple bounce sole grind. The higher bounce angle at the center along with a heel and toe relief results in maximum versatility through various lies and turf condit﻿﻿ions﻿﻿. The sole design works well with rough and sand and it also gives a good trajectory at full shots. The wedge comes in odd lofts with a slightly larger club head design. In terms of feel, the wedge feels soft on pure strikes. The true temper shaft feels solid and balanced for the swing speed. The hit impact is steady and light throughout the swing. The grip of the wedge is amazing enough to make you leave your gloves in the bag. Another add on is the distance control. The wedge offers easy to gauge yardages on full shots. There is a lot of spin from rough and sand. Also, for those who want more forgiveness, the Big Trusty Rusty wedge is also available (10% larger). Towards the negatives, some reviews found the use of different colors as distracting. Some testers disagree on the impact feel being soft with some looking for more consistent distances. Time to Go Trusty Rusty! With this product on the market, Cobra Golf has put a lot forward for its fans to drool over. The all new Trusty Rusty is already out there winning hearts of the golfers for their wedge games. It is therefore a high time for all the Cobra fans to expand their Cobra collection by this wonderful new addition, which they would surely regret missing out on.